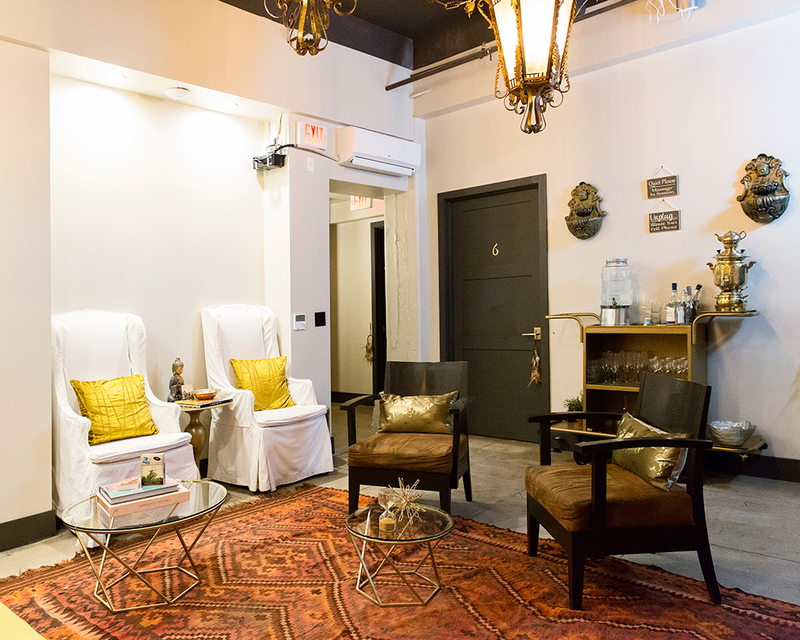 A treatment room at Desuar Spa in DTLA. Over the last few years, Downtown Los Angeles has experienced a revival as one of the trendiest and most happening areas in Southern California. Fine dining, hip bars and cool art events make it an exciting place to hang out after work. DTLA is also home to countless offices and the workforce for a variety of industries, making it a popular destination for business travel and conferences. But with all this hustle and bustle comes lots of traffic, construction and stress. Enter Desuar Spa, a much-needed tranquil spa oasis located right in the heart of DTLA. The reception entrance and retail area of Desuar Spa. 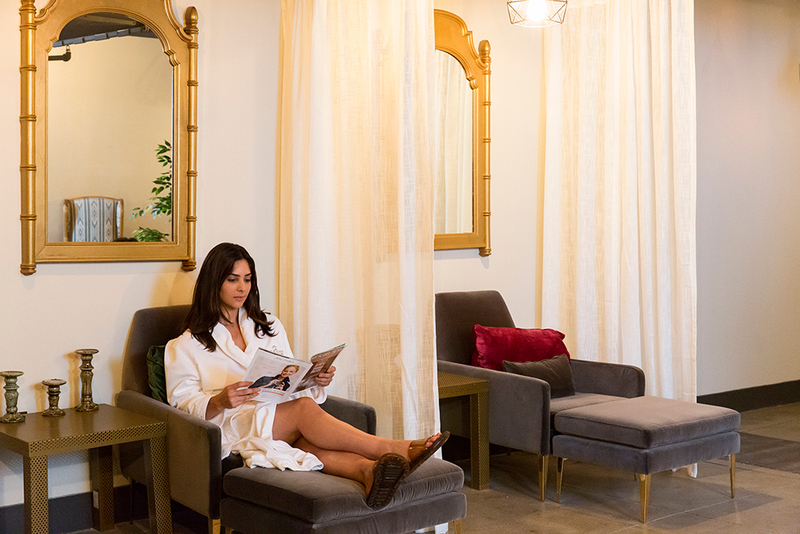 Desuar Spa is a spacious, hidden sanctuary of relaxation located in the historic Jewelry Trades building, a nationally registered historic building. Founder Deisy Suarez has transformed the basement of this landmark building into a zen paradise. The thoughtful decor incorporates boho Moroccan influences as well as touches from Deisy’s travels around the world, where she researched various spa practices and traditions to bring to Desuar’s menu. Desuar Spa Founder Deisy Suarez in front of the entrance to Desuar Spa. This spa is truly a unique and special addition to DTLA’s wellness offerings. Like many of the city's coolest spots, Desuar is a hidden treasure that brings the speakeasy vibe to spa. Enter through the basement, and you’re in for a treat—a whole new world where you will be instantly transported from the hectic streets of Downtown to heavenly relaxation bliss. 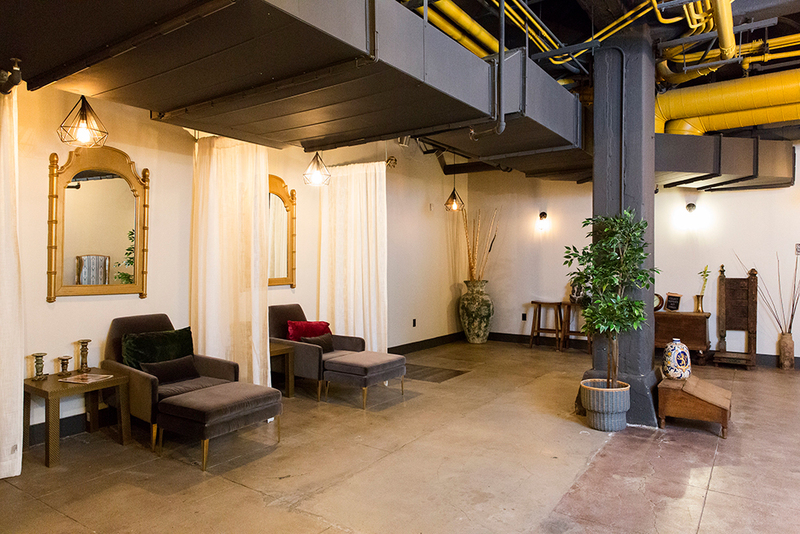 The space is huge with high ceilings and comfy sitting areas to unwind before your treatment. I loved the decor, especially all of the amazing vibey lighting throughout the spa. Accents of leopard print also made for a fun detail! The lighting at Desuar Spa sets a relaxing mood. I began my spa experience with a relaxing soak in a clawfoot copper tub. The benefits of copper tubs include helping with inflammation, pain, injury, and uplifting your mood. They also look amazing, especially with candle mood lighting. Pair that with a little sparking wine and it’s a total goddess bath experience. 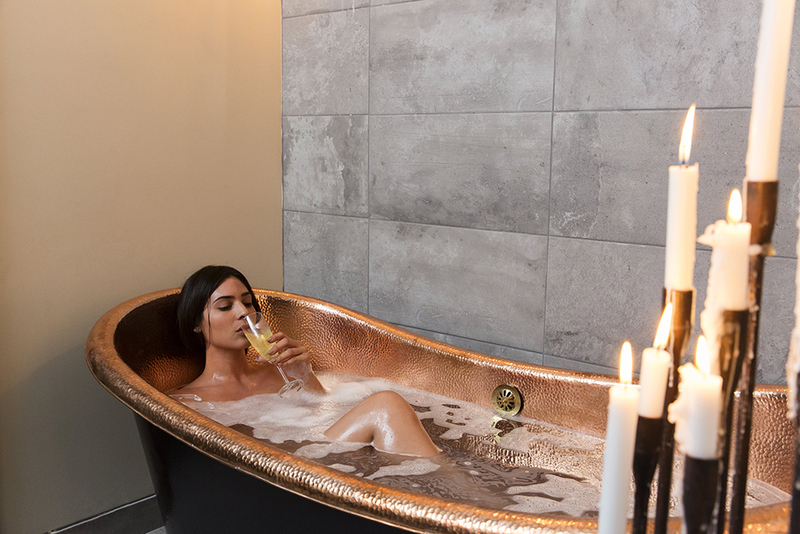 The copper tub retains heat, so unlike some spa baths where you are shivering, by the end of the soak you feel warm and cozy. The copper tub soak at Desuar Spa will make you feel like a goddess. After the bath, I was exciting to try the Himalayan Salt Bed Massage with Chromotherapy. This unique treatment was so revitalizing. There is just something magical about Himalayan salt! It's known for its many benefits including improving immunity, regulation of moods and enhancing energy. The Himalayan Salt Bed Message at Desuar Spa. The treatment takes place on a special heated bed filled with Himalayan salt—the salt itself actually provides a mini-massage. (Currently, there are only two of this specific type of bed that costs $20,000 in the United States!) The service also incorporates chromotherapy which uses colors to aid in health and harmony. Each color option provides a specific vibration to address various issues. I chose purple which promotes tranquility and reduces anxiety, among other color perks. Alejandra, my massage therapist, provided a fabulous full-body massage. 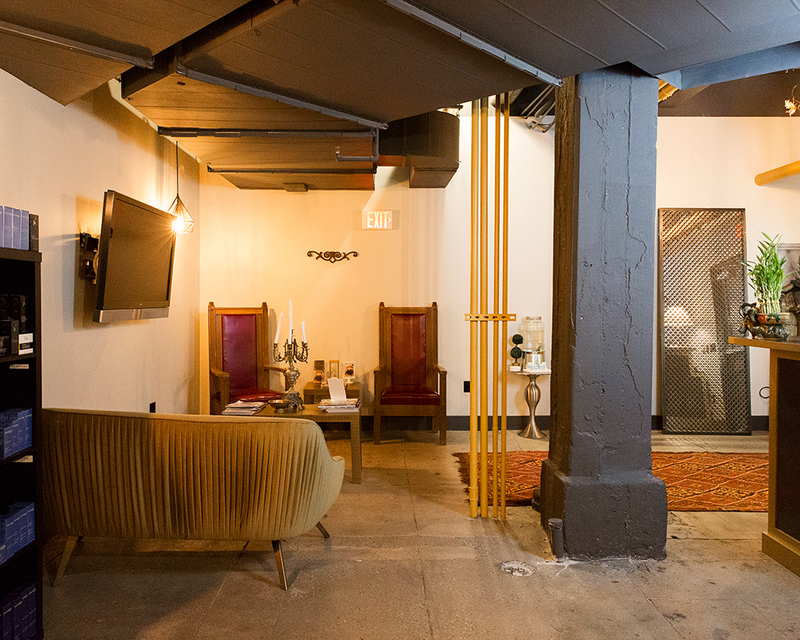 The relaxation room at Desuar Spa in Downtown Los Angeles. After the treatment, you can chill out in the tranquil relaxation room or get ready for the rest of your day in the locker room. The spa’s locker room includes a private changing area, showers and a vanity area. The vanity area of the women's locker room at Desuar Spa in DTLA. I discovered that there is a secret menu at the spa with naughty services—well, only by name in a tongue-in-cheek way. If you’re driving, park at Paragon Parking at 401 S Spring Street. It’s easy and around the corner from the spa. Stop by The Last Bookstore right across the street after your service because what could be better than a massage followed by cuddling up with a good book?